In a move that may further extend his stay in custody following his arrest last month, Carlos Ghosn, the ousted Nissan Motor Co. chairman, was served a fresh warrant for aggravated breach of trust against the automaker on Friday. 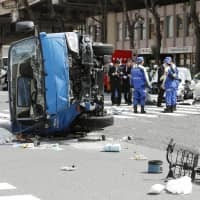 The arrest, his third, is a dramatic turnaround as he was seen to be nearing release from the Tokyo Detention House after a court rejected a request from prosecutors Thursday to extend his detention over earlier allegations of understating his income. Ghosn is now facing a fresh claim that he had Nissan bear responsibility to cover his private investment losses of some ¥1.85 billion ($16 million) incurred around October 2008 and inflicting damage on the automaker by having it deposit a total of $14.7 million on four occasions between June 2009 and March 2012 into a related bank account. According to sources close to the matter, Ghosn, who was CEO and chairman at the time, incurred the losses arising from derivatives trading due to the global financial crisis caused by the 2008 collapse of U.S. investment bank Lehman Brothers Holdings Inc. While the statute of limitation for the crime of aggravated breach of trust is seven years, prosecutors have confirmed that the period has not expired as Ghosn’s time spent abroad is not counted. 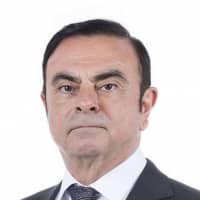 When allegations that Ghosn shifted investment losses to Nissan first surfaced in media reports at the end of November, Ghosn’s lawyer, Motonari Otsuru, said his client had denied the accusation. Ghosn considered having Nissan shoulder the losses at the time but did not do so after being told by financial authorities it would be illegal, Otsuru said at the time. The crime of aggravated breach of trust under the Companies Act refers to when a person fulfilling an important role in a company’s management, such as an executive, acts against his role and inflicts damage on the company. A person in violation of the act could face a fine of up to ¥10 million or imprisonment of up to 10 years. The confinement of Ghosn, credited with saving Nissan when it was teetering on the brink of bankruptcy in the late 1990s, has sparked criticism from overseas over the possibility his detention could be legally prolonged indefinitely, and over the absence of lawyers during interrogations. The law sets detention limits for a suspect of 23 days for an arrest warrant served by police and 22 days for a warrant served by prosecutors. However, authorities can add further charges with fresh warrants, meaning a person can be detained indefinitely if a court approves. “The criticism is unwarranted,” he said. “Under the Code of Criminal Procedure, a certain detention period is permitted based on rigorous judicial review … and (prosecutors) refer to adequate procedures in seeking the truth,” Yamashita said, stressing he was speaking in general terms and not on individual cases. 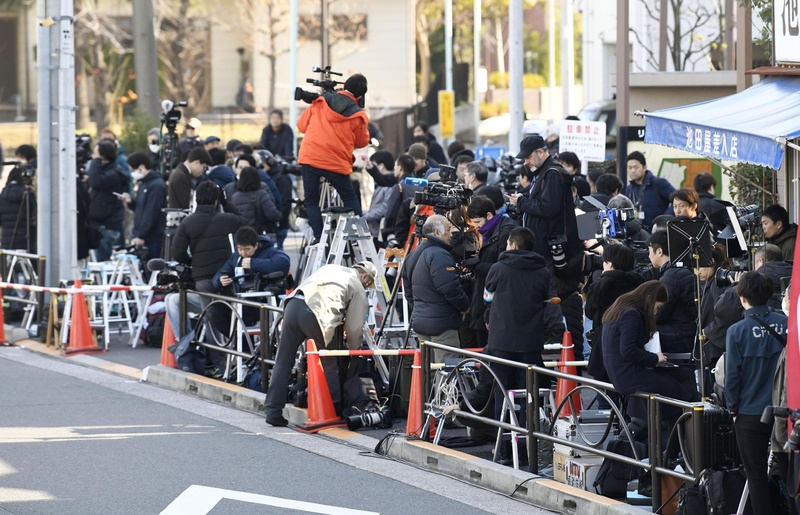 As the story of Ghosn’s fresh arrest spread in the morning there was a commotion at the main gate of the Tokyo Detention House, where hundreds of reporters and photographers had been gathering to cover the executive’s expected release on bail. 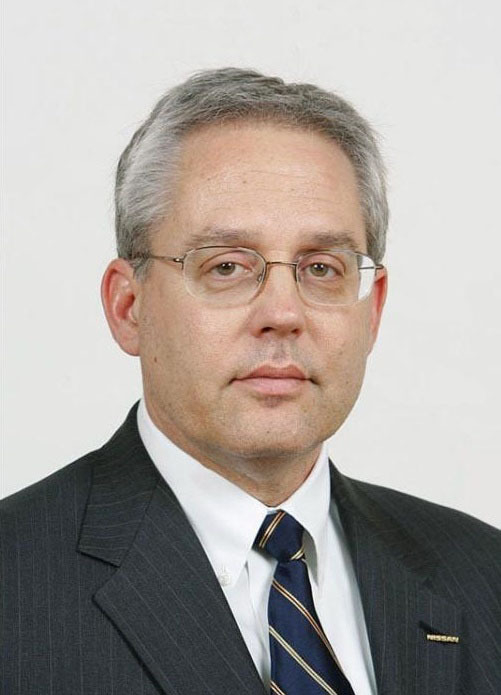 A Nissan official in charge of public relations declined to comment, citing the ongoing investigation. 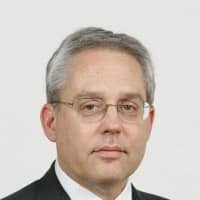 Ghosn and Greg Kelly, Ghosn’s close aide and a former Nissan representative director, were initially arrested Nov. 19 on suspicion of understating in Nissan’s securities reports roughly ¥5 billion of the former chairman’s ¥10 billion compensation during the five years through March 2015. The men were indicted Dec. 10 on a charge of violating the Financial Instruments and Exchange Act. They have denied the allegations. 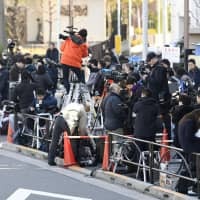 Their detention was extended for 10 more days over a second warrant for both of the accused served Dec. 10 over additional suspicions the pair conspired to understate the ousted chairman’s remuneration by ¥4.27 billion in securities reports for the three years that ended in March this year. 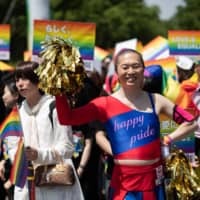 A further extension of their detention was sought but the court on Thursday turned down the request, an extremely rare move against a request by the special investigation squad of the Tokyo Prosecutor’s Office. Kelly applied for bail Friday through his lawyers. 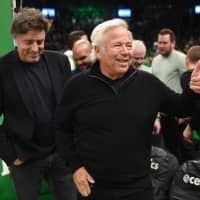 If the court approves and procedures are completed, there is a possibility he could be released as early as Tuesday, sources said. Ghosn and Kelly have admitted to prosecutors that the former chairman’s remuneration was not entirely stated in the reports, but have claimed it was not necessary to do so because the amount of his post-retirement payment had not been settled, according to sources with knowledge of the investigation. Following the arrest and after an internal probe that uncovered “significant acts of misconduct” by Ghosn, Nissan dismissed him as chairman on Nov. 22. 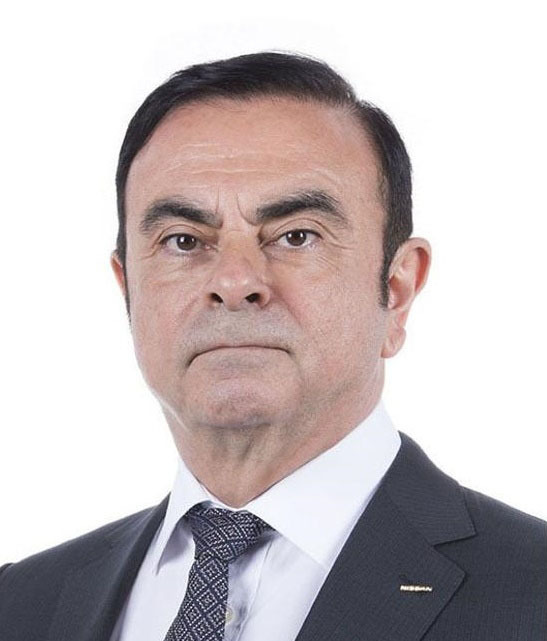 The ouster of Ghosn has triggered a power struggle with alliance partner Renault SA over the cross-sharing partnership created and led by Ghosn. Nissan CEO Hiroto Saikawa — a one-time protege of Ghosn — has emerged as a driving force in the carmaker’s investigation into the alleged wrongdoing by Ghosn and Kelly. The arrests were the result of a coup by executives including Saikawa, Kelly’s wife, Dee Kelly, said in a video released Wednesday.